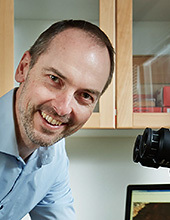 ​Johan Ahlström's research and teaching concern the behaviour of Engineering Metals both in the production process and as used within products in service. The research aims at creating knowledge to enable economically, environmentally and socially sustainable solutions for transport and production industries. Proceedings of the 10th International Conference on Contact Mechanics and Wear of Rail/Wheel Systems (CM2015). There might be more projects where Johan Ahlström participates, but you have to be logged in as a Chalmers employee to see them.